Private jet charters are the best way to start off your adventure to Las Vegas – after all, what happens at 30,000 feet, stays at 30,000 feet. 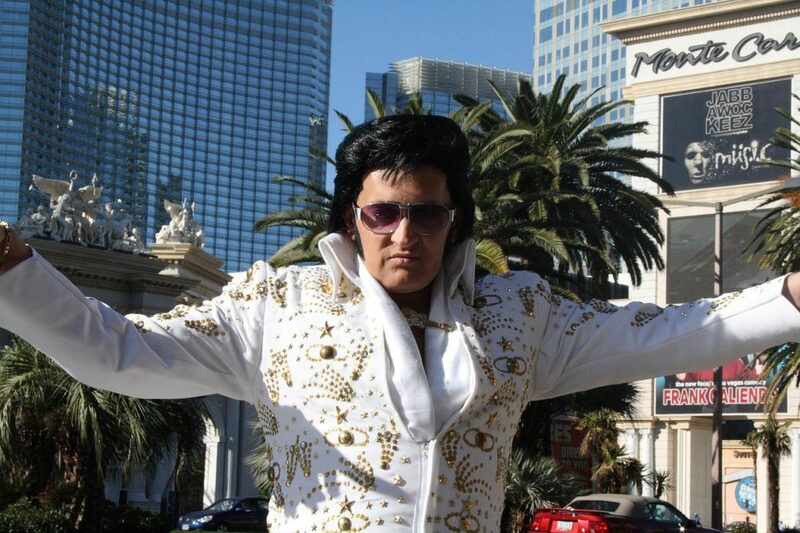 Enjoy a private jet charter to Las Vegas, the Entertainment Capital of the World. It’s one of the most visited destinations year after year, home to mega-hotels and resort casinos that attract visitors from every corner of the globe. Also know as Sin City, Las Vegas knows what you want, and it delivers in spades. Our team at Air Charter Advisors knows what you want, too – you want a luxurious, comfortable private jet charter flying full-tilt to complement your lavish Las Vegas getaway, all without going bust. That’s why our team offers transparent, competitive rates for Las Vegas jet charter service, all while applying the highest standards in private air travel. We have access to thousands of private jets located around the world, from Cessna CJ1’s and Hawker 800XP’s to Global Express/XRS’s and Gulfstream V/G500/G550’s, allowing us to connect you with the perfect aircraft at the right cost, whether you’re flying internationally or domestically. Call ACA to charter a private jet to Vegas for your next trip to Sin City. Our Las Vegas jet charter company is part of the Wyvern-certified charter broker network, meaning all of the private jets and turboprops we use for charter flights to Las Vegas are operated by FAR Part 135 or 121 (or foreign equivalent) air carriers, and held to the highest standards. Our list of clients has grown to include C-level executives, heads of state and celebrities, as well as personal assistants and leisure travelers. We also specialize in private flights for special events such as honeymoons, bachelor/ette parties and weddings. Enjoy the convenience and peace of mind you get from working with a jet charter company you can trust, and Air Charter Advisors will become your local and global solution for luxury air travel, aircraft acquisition, and charter plane management. Call or request a quote for your charter flight to Las Vegas, Nevada. We’ll arrange everything from gourmet in-flight catering and luxury ground transportation, to helicopter lifts and any other amenity you request – consider our Las Vegas Jet Charter team your one-stop shop for all things private aviation in Sin City. Choose between the following airports when arranging your private jet charter to/from Las Vegas, Nevada. The airports listed below are within 25 miles of the city center. Want to know how much charter rates are for private flights to (LAS) McCarran International or (HND) Henderson Executive? Give us a call to discuss all of the potential airport and aircraft options for your trip, as well as private jet charter rates. Click here for more information on private jet airports in Las Vegas. Below are some of the most frequently requested routes for clients flying private to Las Vegas, Nevada. Search our network of destinations to learn more about private aviation across the United States and around the globe. Charter flights to Las Vegas are the best way to travel to Vegas Strip, and our air charter brokers offer access to the following private planes, all operated by FAR Part 135 or 121 (or foreign equivalent) air carriers, and many Wyvern Wingman/ARGUS luxury jets for charter flight. Our broker will provide a wide variety of options based on your goals and your budget, whether you’re looking for a cost-effective charter flight, or the most luxurious charter jet available. Check out our Aircraft Gallery for more details on all of the planes available for your flight. If you don’t see your preferred aircraft type listed below, speak to one of our brokers and they will locate one for your private jet charter Las Vegas, NV. Welcome to your comprehensive solution for all things aviation in Las Vegas, Nevada. Whether you’re interested in chartering a flight to the area, own your own aircraft in Nevada, or would like to purchase fractional ownership of a plane, our private jet charter Las Vegas team has all of the tools and knowledge you need to handle each and every aspect of private aviation. Charter a private jet to Las Vegas, the resort and gaming city in the Mojave Desert known as the “Entertainment Capital of the World”. 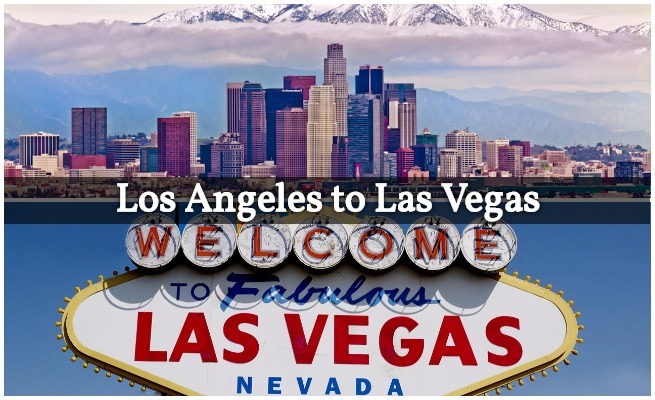 Whether flying private to Clark County for business at a local convention, to roll the dice along the Vegas Strip, or to celebrate a bachelor/bachelorette/birthday party, there’s a reason why it’s one of the most visited cities in the world. Check out more details below to help plan your trip after you book a private jet to Vegas. 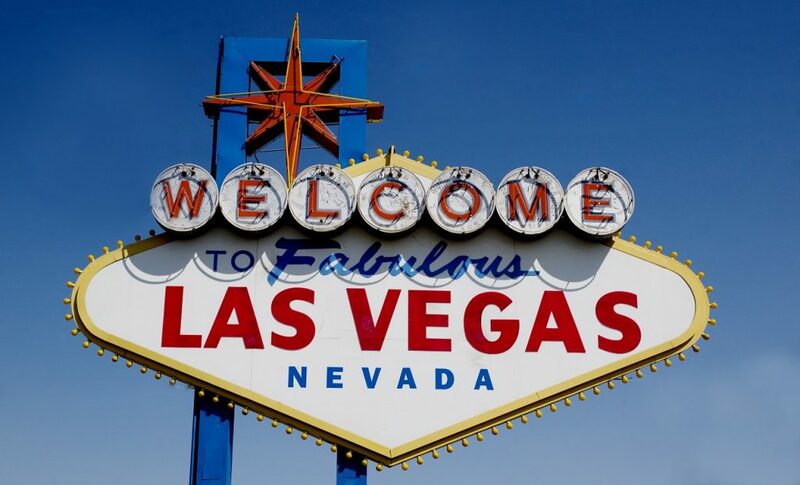 If you’re heading to Las Vegas, whether it’s your first trip or a return visit, you’re probably harboring a nearly uncontainable sense of excitement and anticipation regarding the coming journey. Don’t worry as there is plenty of reason to be feeling this way. Las Vegas is a city with enough movies made about it to have its own genre, and telling anyone you’re going there will produce -in varying forms- a reaction that somehow incorporates the lip protruding “ooh” exclamation and an indication of slight yet perceptible. Air Charter Advisors wants to continue helping you make the trip of a lifetime even after your private flight has landed, so we’ve created a guide on the best attractions in town. After landing and getting to your hotel, you may want to check out the extremely popular Battlefield Vegas. This highly personalized shooting range experience is perfect for spending a few hours blowing off some steam and getting level-headed before heading out to one of the casinos. There are several other shooting ranges that offer tour packages that include meal and drink plans, outdoor ATV riding, and a host of other amenities for those moments when a casino just won’t cut it. Keeping things on the more out-doorsy side of Vegas, Dig This is one of the most popular attractions frequented by tourists and locals alike. At an hourly rate, one can actually drive a bulldozer, excavator, or other construction equipment through personally constructed obstacle courses. With air conditioned equipment for those hot desert days, Dig This has laid everything out for the client. Moving more into the city center, private flight clients that like Rock n’ Roll are sure to enjoy the famous Rock Vault. Simply buy tickets and experience a rotating lineup of some of the biggest names in Rock n’ Roll right now. 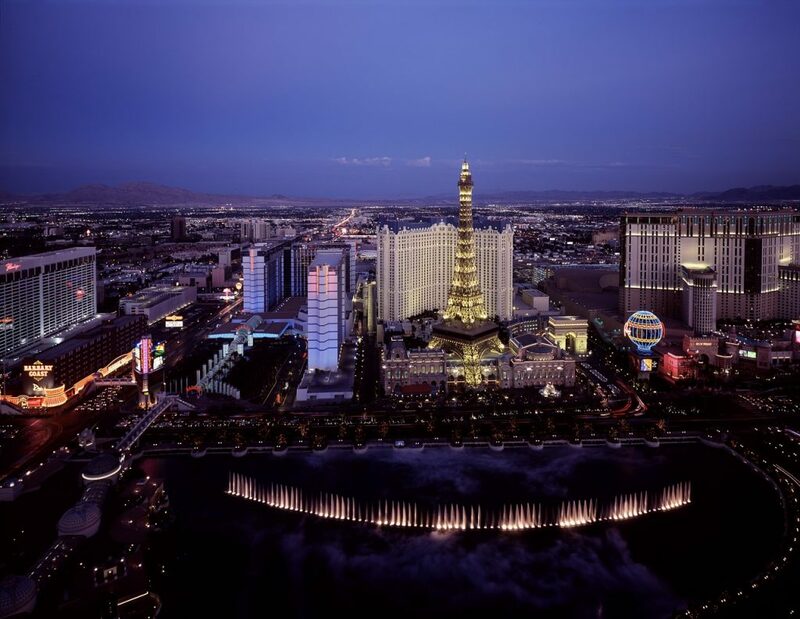 With so many more options, read on for a comprehensive list of the rest of the best attractions after your charter flights to Las Vegas. Book your private flight to Las Vegas now and enjoy the wonders that this incredible city has to offer. 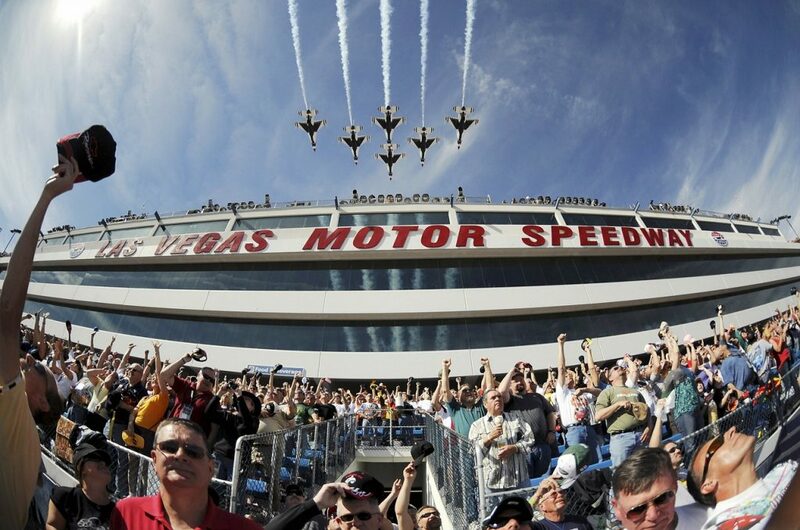 For private jet travelers that enjoy gambling, there is no better destination than Las Vegas, Nevada. 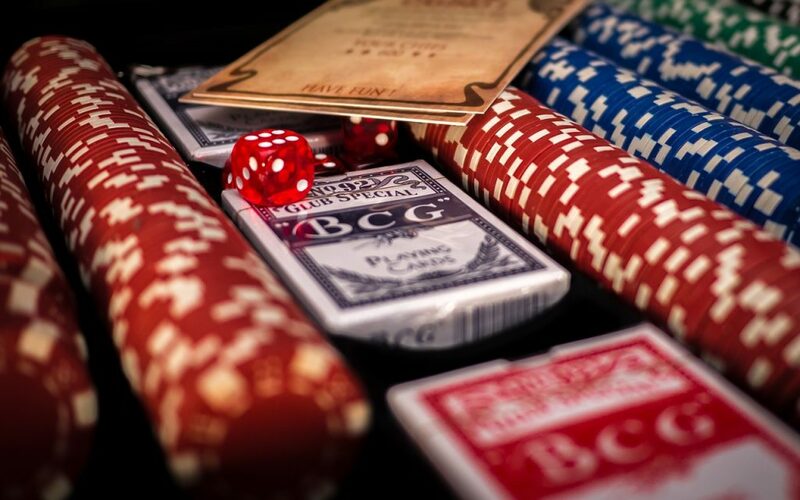 We’ve have created a guide of the best Casinos in town so that our clients can enjoy the smoothest and most fun trip possible. Depending on how long you’ve planned your trip to be, you’ll be able to visit a few or all of these amazing casinos. However long you’re staying, your first stop should be at The Cosmopolitan. The new kid on the street, this enormous casino makes up for its new kid status with more amenities, a friendlier staff, and better restaurants than you’ll find just about anywhere. The Cosmopolitan boasts a fully decked-out spa where you can spend your day in complete relaxation. There is also a club on site that is open day and night so guests can go dancing whenever they feel like. With its host of the other entertainment options, The Cosmopolitan makes an ideal destination for luxury jet travelers. Next on our list is a casino called The D. This innovative casino offers a new experience every time you go there. The table game dealers are also dancers, the entertainment is varied and phenomenal, and the games offered are seemingly limitless. Not satisfied with just giving a regular experience, The D offers several full service and five star restaurants, a full service hotel on site, and several bars with incredible mixology programs. Continuing our journey through the casino scene we arrive at the Encore Hotel and Casino. With its inventive and luxurious architecture, the Encore will put private jet travel clients in the perfect state of mind. Walking through the halls of this enormous hotel and casino give one the feeling that they are truly a part of the Vegas night scene. Spas, fitness centers, pools, an on site golf course, and high end shopping all on site, private jet charter clients will never run out of things to do at the Encore. We’ve compiled a comprehensive list based on Las Vegas Jet Charter client feedback, online reviews, and amenities offered. Read on to find out even more of the best casino options for private jet travelers in Las Vegas, Nevada. 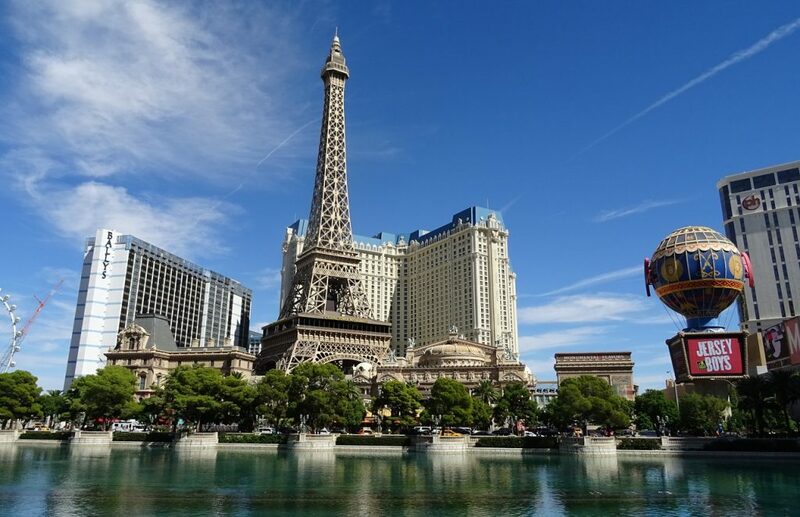 While a private flight to the sprawling gambling capital of the world is exciting in itself, Las Vegas still produces a goose bump inducing feeling of pure excitement as you drive through the entertainment district. Something about the neon lights, flashy architecture, and audacious display of wealth somehow makes you feel like you’re a part of it all. The luxurious hotels throughout the city are no less exciting and are often even more regal on the inside. A night or a week at The Palazzo Resort Hotel Casino won’t soon be forgotten by even the most demanding private jet travelers. With its enormous villa suites, five star restaurants, impeccable service, and dream-like interior décor, this veritable palace is an excellent choice for your stay in Las Vegas, Nevada. If the fairy-tale feel of the Palazzo Resort doesn’t quite suit your style then head over to the Venetian Resort Hotel Casino and enjoy their enormous villa accommodations with awe-inspiring views of the Las Vegas skyline. With rooms so high up that the rest of the city seems like a far away vision, it’s impossible to stay at the Venetian without feeling like you’re experiencing something special. The halls of The Venetian produce a palpable feeling of luxury as one takes note of the abundant amenities constantly at their disposal. Aside from the award-winning casino, this hotel has several 5-star restaurants for you to fill up on. After eating you can catch one of the world-class musical acts on site every night, or see a specialty show several nights a week. The Palazzo and the Venetian are only the tip of the iceberg when it comes to Las Vegas hotels, and we’ve compiled a list of only the best options for our private luxury jet clients. 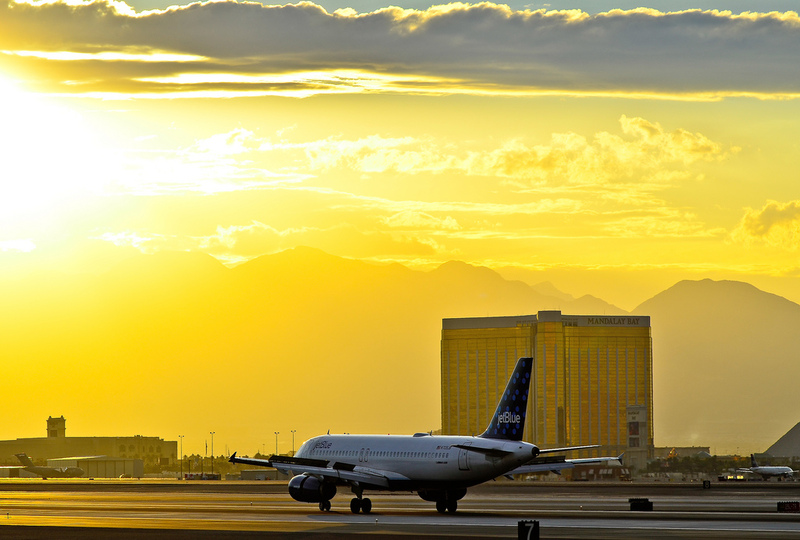 Plan your stress-free jet charter with Air Charter Advisors and enjoy your adventure in Sin City. Request a Quote or give us a call at 1-888-987-5387 to speak with one of our Private Jet Charter Las Vegas brokers and review all of the options for your private charter flight. Enjoy all-inclusive, hourly-rate pricing on Wyvern-certified aircraft, loaded with all of your requested amenities, flown by pilots with a wealth of experience in the aircraft type you’re chartering. Our jet charter services can add hours of precious time to your day in Las Vegas, all while escaping the hassle of stress-inducing commercial flights.